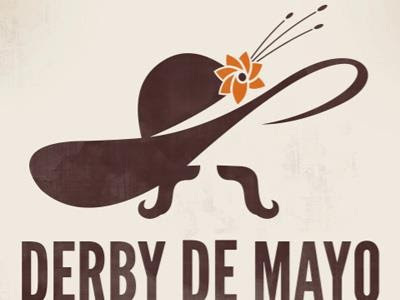 I love a good party; especially when it can combine the Kentucky Derby AND Cinco de Mayo. Does it get any better than mint juleps & margaritas?! 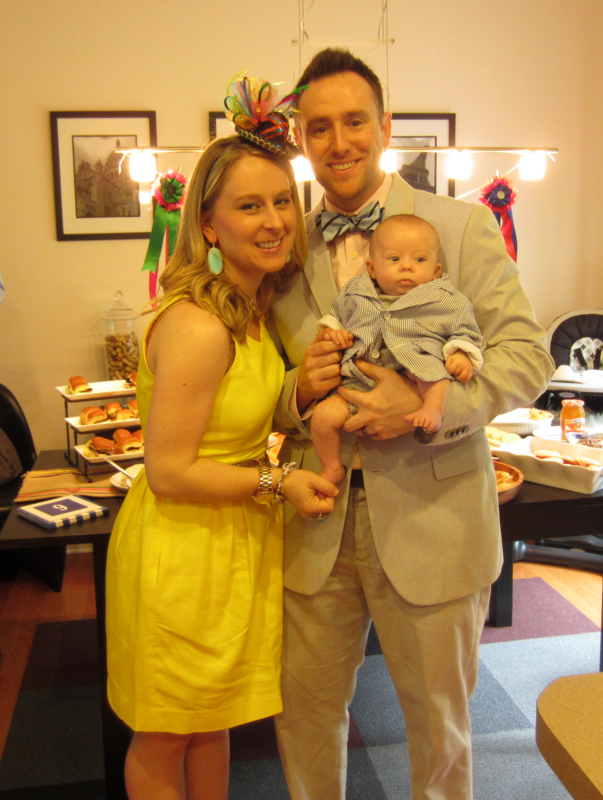 Over the past weekend, Hubs and I hosted our first party post-baby and I was pleasantly surprised with how easily it went off. Granted, we had to switch plans at the last minute thanks to thunderstorms, but even with Mother Nature raining on my parade (and carefully though-out plans) the party was a huge success. And, I even won a little cash on I'll Have Another. (How could I resist placing a bet on a horse with a name like that?! What's that on my head might you ask? 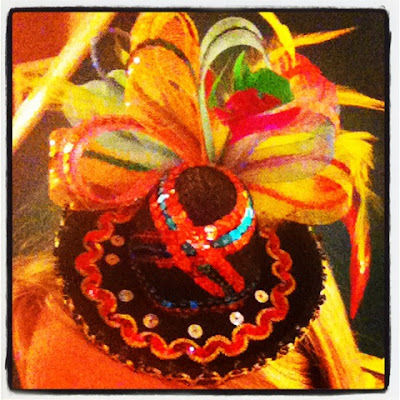 Why, that my friends, is a Cinco de Mayo fascinator!!! Perfect for a Derby and Cinco de Mayo celebration in one! And lastly, a picture of our little family decked out for the event. 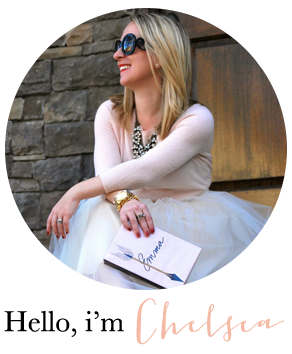 I LOVE your fascinator, what a perfect way to incorporate both occassions! Cute decor too! 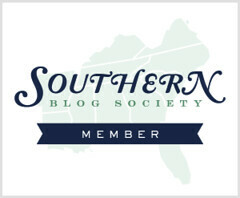 We're going to have a derby party next year (you can check out my post to find out why) and your ribbons and roses have inspired me. That last picture is the cutest picture I have ever seen!! aaagh i love it! you did so well in combining both events! your outfit is super cute as well! love the shoes with that dress...a perfect pop of more color!